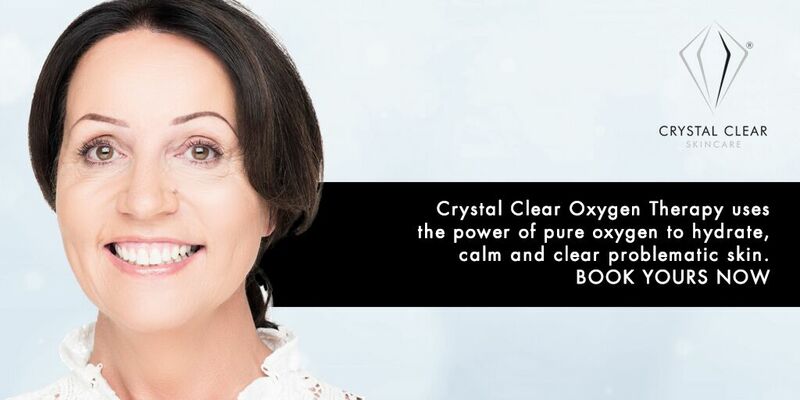 Discover why Crystal Clear’s Oxygen Therapy is the celebrity secret for younger looking, rejuvenated skin! As we age oxygen levels in the skin cells decrease, resulting in a loss of elasticity and the formation of lines and wrinkles. Oxygen Therapy replenishes lost oxygen. Our secret weapon – Oxygen Serum is packed with active ingredients that restructure the skin from the inside out, visibly plumping lines and wrinkles while firming the skin around the eyes, face and neck. - Perfect for ageing on the neck and decollate. The results are instant but for more intensive a course of 5 treatments is often recommended to achieve maximum effect. For the intensive treatment of lines, wrinkles and lax skin of the face and neck.